Selling Points: Okay, stop me if you've heard this one before. See, Nobunaga Oda may have united all of Japan under his shogunate in the 16th century, but he's not the steadfast male that we all thought he was. See, he was actually a woman. No, not the one from Sengoku Otome: Momoiro Paradox. The other one. Nope, not that one either. 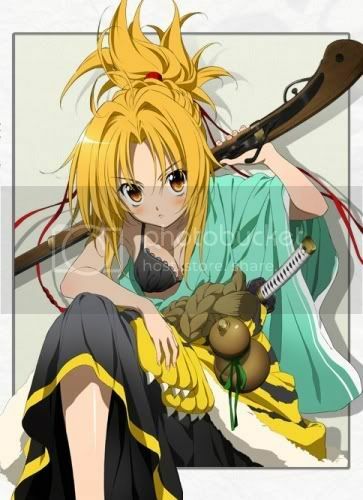 That's the main character from next season's Oda Nobuna no Yabô. C'mon. The one with the long pink hair, guys. 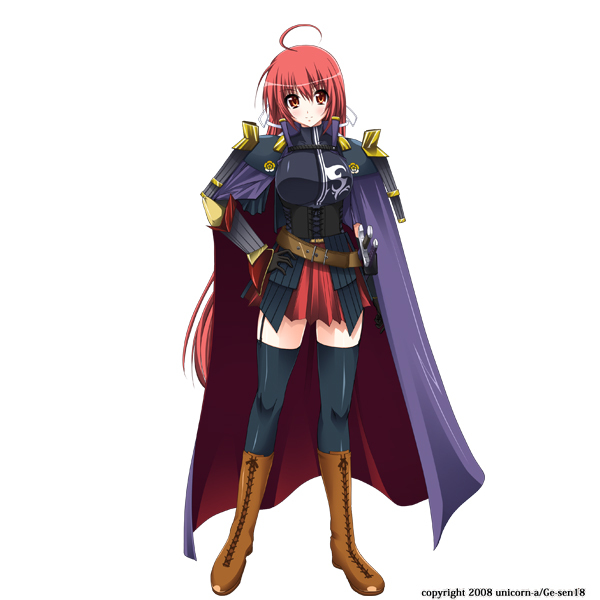 I honestly didn't know there was more than one genderswapped Nobunaga Oda with pink hair. The OTHER one, guys. You know, the one from the Japan that's actually a parallel timeline where all of the historical males from the Warring States are pastel-haired maidens? The one where Nobunaga Oda comically falls from the sky and nails an everyman Tokyoite in the stomach? So that actually happens, and Nobunaga survives the ordeal to learn about the luxuries of modern Japan. She bosses around Seiichi, your stereotypical spineless freeter male, who manages to show Nobunaga that the amenities of the 21st century aren't so bad for the haughty would-be conqueror. However, Nobunaga finds herself wanting to return home, and when three animal-eared shrine protectors come to instruct Nobunaga on how to do so, she leaves Seiichi's side to locate secret treasures locked in the hearts of other Sengoku-Era princesses that have slipped time and space. Defense: Okay, so perhaps this wasn't what I had first expected when I heard that the likes of Kenshin Uesugi and Masamune Date were to be recreated as females AGAIN. I had expected poor Seiichi to be the victim of a horde of gate-crashing women, but I was pleased to see that Nobunaga opts not to link herself to a male in her hunt for her ticket home. Perhaps this retelling wasn't going to go the way of senseless tales such as Shin Koihime Musô or Jubei-chan and was actually going to give us a headstrong main character. The story is a bit Pokemon in its whole "Gotta-Pwn-Them-All" approach towards locating the other maidens' treasures, turning their owners into citizens of Japan that have accepted their new lives and their inability to return home. However, another thing to look towards is how the three shrine maidens fit into the picture—I wouldn't be surprised if they were doing this to get the treasures for themselves. Final Judgment: In the end, I ultimately kicked Sengoku Collection off the island due to its simple lack of direction. Intrigue aside, the underlying theme of the show is that modern-day Japan, despite its flaws and cultural dead-ends in its idolatry of women, is still better than the past. One maiden comes to Japan and abandons her past life to become an idol singer, while another waves the battle flag in surrender to become the "housewife" of another maiden. I hate that approach, this idea that you can become anything, but shouldn't try to become anything other than a cog in modern culture. The real damning vote is the fact that the show is just unoriginal in its recycled use of past historical figures. 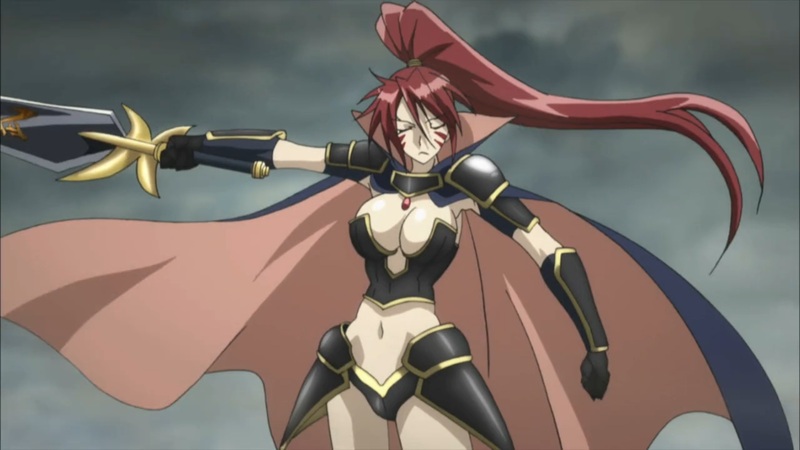 Instead of retelling actual stories or fiction cloaked in the past (Hyouge Mono), we get more big-breasted, frilly-clothed samurai, and badly-animated ones to boot. All that we're going to get from this show are more surrenders by characters that should be treated as heroes, not as zeroes. In fact, I'm going to call this right now—Nobunaga eventually stays in the modern world, ultimately screwing up the "history" in their own world. Sorry. Even Tono to Issho is more appealing than this. 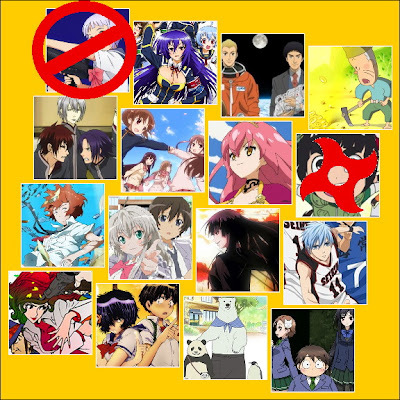 Next Week: we jettison the next show from Anime Survivor! Which show is next to go?